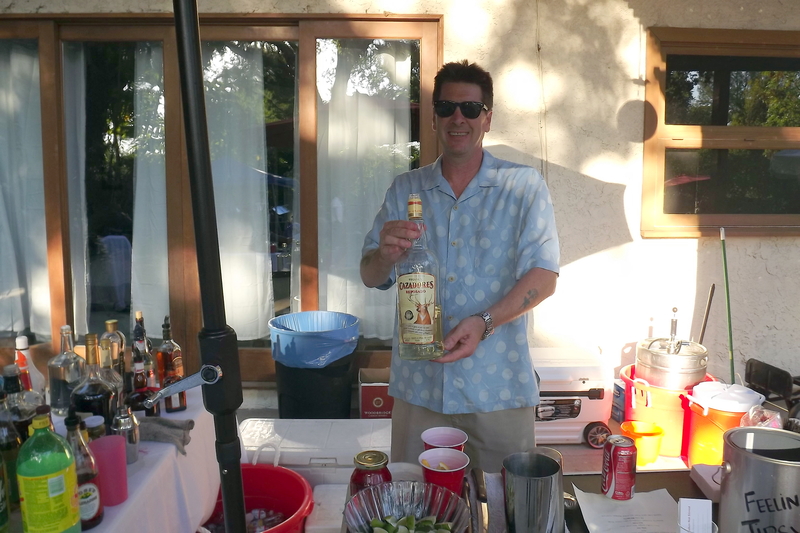 An Encino law office celebrated 20 years in business Saturday and Shaken Not Stirred was on hand to provide beverage service. The law office is located on an Encino estate that is perfect for partying. They did the party up right and had two different caterers, a photo booth, steel drum band, bartenders, and later on a DJ. It was a hot day and the ice was melting faster than we could keep it stocked. The party was an open house and people came in and out all day. 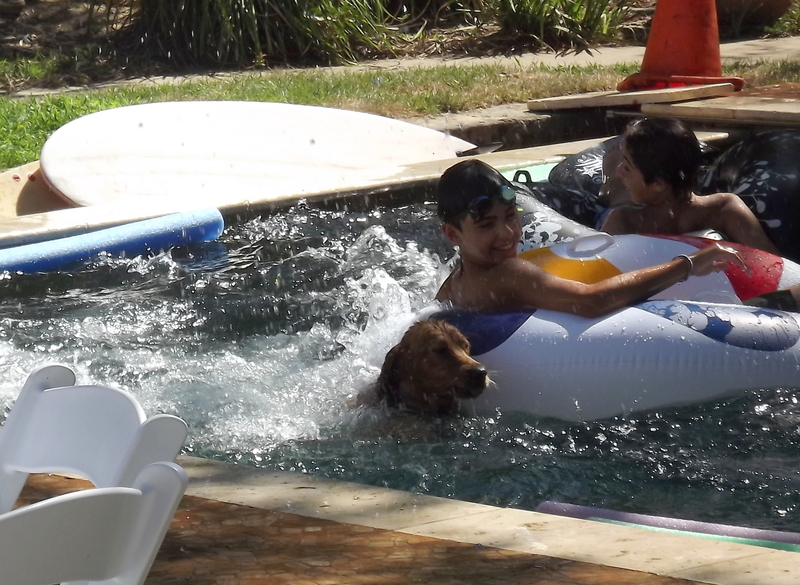 People brought their kids and the pool was busy all day. There was a dog there that was in and out of that pool for nine hours straight and I’m sure that dog had a good night’s sleep. I brought another bartender with me, Mia, and we served Modelo on tap, Margaritas, and a few other specialty drinks. We served many shots of tequila and had several brands to choose from including, Cazadores, Don Julio, Patron, and Don Azul. 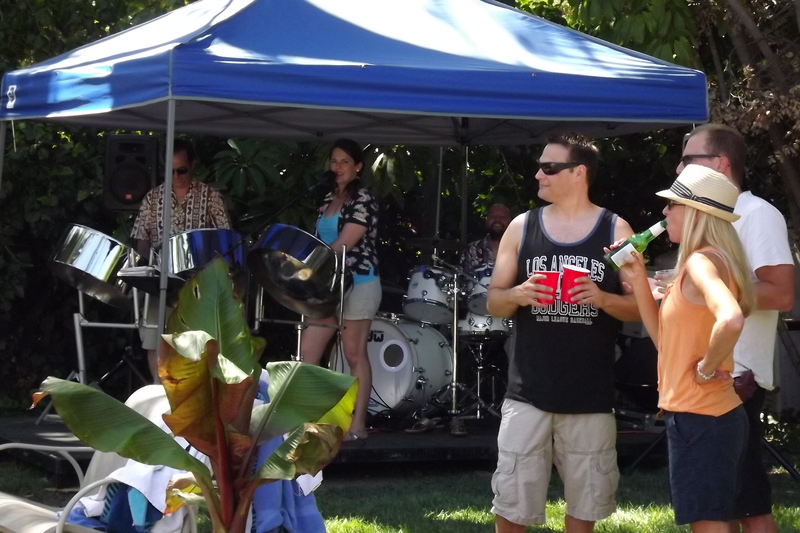 Nesta provided the entertainment with steel drums and I have seen them at other parties – they are great addition to any summer party. They had a taco bar set up in the front yard and I don’t know how the cooks kept from passing out it was so hot out there. The sun was just relentless. Another caterer was set up in the backyard and they kept passing around appetizers including shrimp cocktails, and then prepared a nice lasagna dinner. Everyone was well fed and we never ran out of drinks. about that. The first week of September I am traveling to Montana for a much need week vacation. Great to see your success in the alcohol industry.